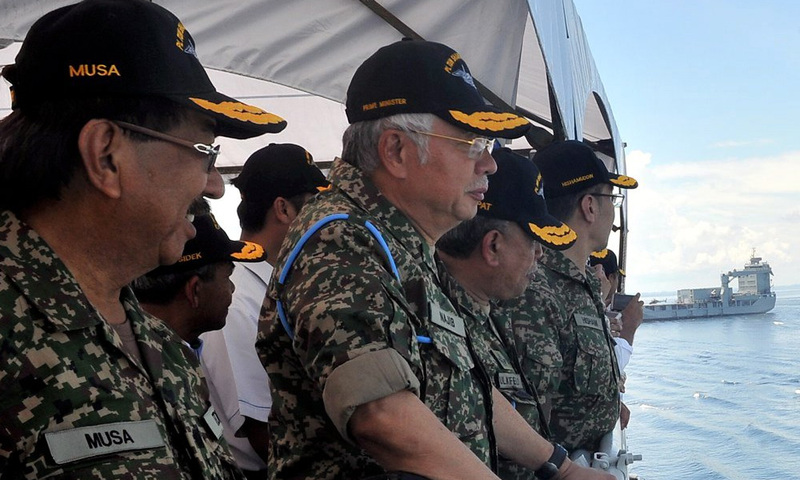 COMMENT | The photo of the former prime minister, Najib Abdul Razak, donning army fatigues and accessorising the look with tan-coloured Timberland ankle boots, made a mockery of the uniform of the Armed Forces. Just over a year ago, Lt-Col (Rtd) Mohd Idris Hassan and his peers complained that politicians were promoting themselves to the rank of General, Colonel or Captain, and also "commissioning" singers, actors, sportsmen and social activists. 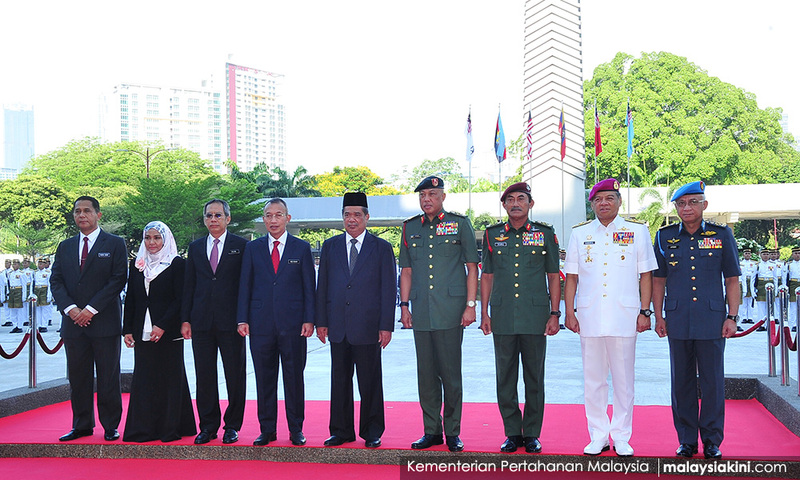 Mohd Idris said that none of them had fired a shot in defence of the nation, or even completed a day's military training. Some received Parachute Wings, without making a single jump. He was appalled when a few of these politicians had the audacity to wear the much coveted maroon beret of the airborne units. Today, his appeal was repeated by the leader of the veterans group, the National Patriots Association (Patriot), Brig-Gen (Rtd) Mohamed Arshad Raji. He condemned the actions of former ministers and politicians for treating the military uniform as a fashion statement and wants the practice stopped. Arshad called on the new Defence Minister Mohamad Sabu, who is widely known as Mat Sabu, to refuse to wear a military uniform or military insignia, and said, "We had to slog all our lives to attain these ranks. “This has to stop. There are only two bodies that can wear uniforms – the military and the police. Even the defence minister should be discouraged from wearing a uniform." Arshad said politicians were a “disgrace” because they failed to wear their uniforms properly but worse; none of them had undergone the rigorous tests and courses, which are spread over many years. He rubbished the honorary ranks which were given to menteris besar, politicians and celebrities, and he prompted the new defence minister to revoke past honorary ranks that had been awarded to civilians. One person whose late father saw active duty during The Emergency said, "I salute Arshad for his suggestion and I hope Mat Sabu listens. He said: "We grimace when watching politicians, whom we now know to be corrupt, and spineless, wear the uniform of the Armed Forces. It is an insult to the brave men, some of whom died while serving this country. "The uniform means everything to a soldier. It is like his second skin. When my father wore his uniform, he was a transformed person, proud to serve the King and country. People respected him for his service to the nation. Strangers would come up to him and say thank you and shake his hand." His uncle, who served during the Indonesian Confrontation, said: "These awards are dished-out like confetti to undeserving people, just because they are celebrities or politicians. Our frontline troops bore the worst of the troubles in the Indonesian Confrontation and The Emergency. Some of these civilians have no clue about sacrifice." The Parachute Wings, are only worn by paratroopers. Arshad wants politicians to stop wearing them when inspecting guards of honour. He said, “People have died to save their country in (parachute) jumps. Have they ever made a single jump? Arshad, who was promoted to Brigadier-General rank prior to his retirement, said that most of the civilian volunteers were awarded the rank of Colonel, but never that of Brigadier-General. However, he claimed, this rank had also been given to politicians and celebrities who never had to work hard, or even pass basic military training, to receive it. One can only imagine the secret fury of many serving and retired military personnel and policemen when Malaysia's top badminton player, Lee Chong Wei, was made an honorary Commander in the Royal Malaysian Navy Volunteer Reserve Unit in 2016. He had previously been made a Lieutenant-Commander (Honorary), in 2012. Social media was abuzz with remarks like "Can he even swim, or command a ship?" and "You can't lob a depth charger like a shuttlecock". The same ridicule was heaped on Khairy Jamaluddin, the former Youth and Sports minister, when he was made a honorary Brigadier-General. A retired army commander remarked scathingly, "By right, he has to surrender the rank upon relinquishing his post as commander of the regiment; but he was a minister and an Umno-Baru bigwig, so they allowed him to keep his rank. 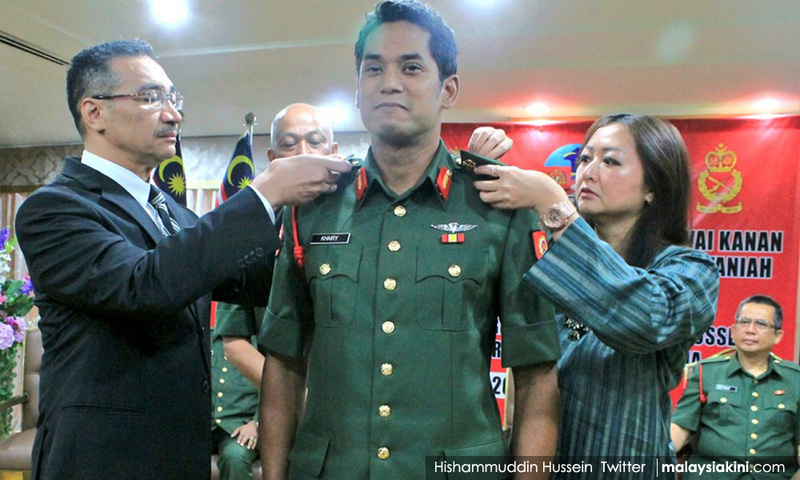 "He did a month's military training, at the territorial army camp in Ampang, KL. That's about all. There were no additional career courses, like those which we were required to take." Although honorary commissions are covered under Section 8 of the Armed Forces Act, 1972, the fact that some retired officers have openly voiced their disapproval, should not be dismissed. They want the authorities to restrict the use of uniforms, insignia and ranks by non-military personnel and limit their use to those who meet strict criteria. Some are alarmed when wedding grooms stick two pips on their uniforms, to pretend they are of a higher rank and use non-military men, clothed in uniform, to act as sword-bearers. They do not want the uniforms and insignia to be treated like fancy dress. 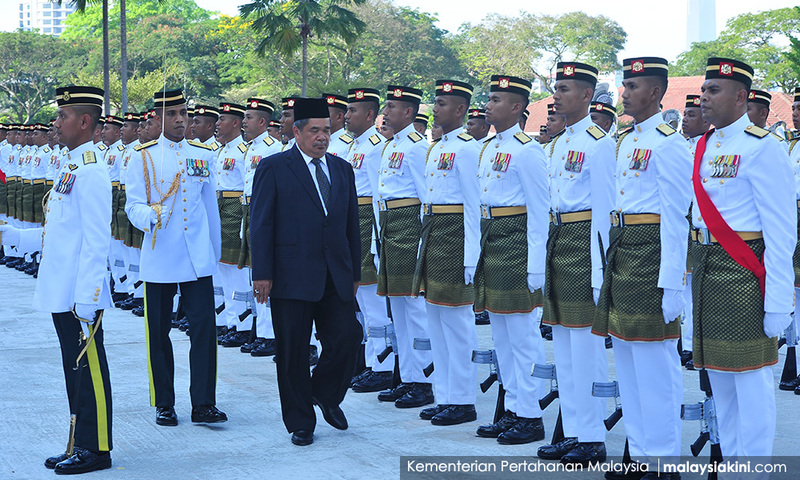 Mat Sabu should scrutinise the previous administration's abuse of the honorary awards system. MARIAM MOKHTAR is a defender of the truth, the admiral-general of the Green Bean Army and president of the Perak Liberation Organisation (PLO). Blog, Twitter.